Situated on the exclusive West end of the island you will find this gem! Make your coastal dreams come true here in this stunning 4 Bedroom, 4 Bath home. 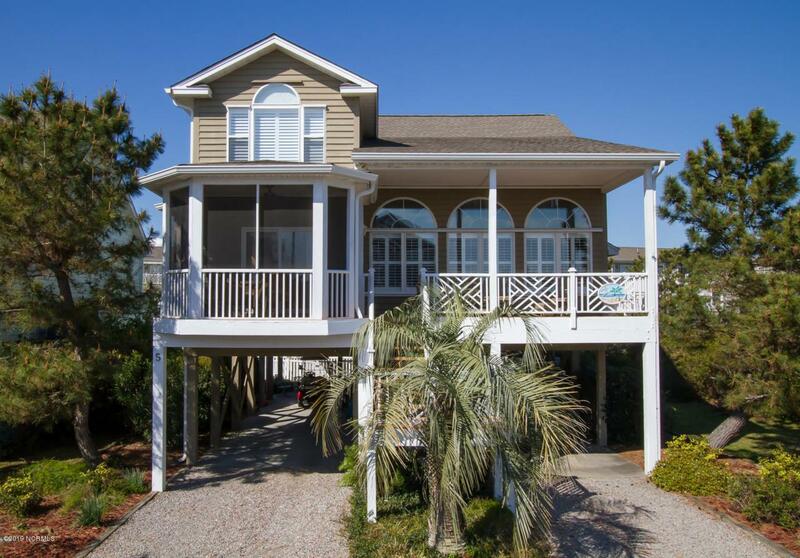 Smell the salt air and feel the soft coastal breeze from your private porch overlooking the pond. Inside you will find all the features you could ask for! The vaulted great room with loft and wall of windows offer the perfect backdrop for relaxing after a day on the beach. While the large, eat-in kitchen opens to the screen porch and offers an island with bar seating, stainless steel appliances & great space for entertaining! Spacious bedrooms with cozy cottage decor offer a private place to relax and unwind and plenty of space family and friends to visit. All of this and just a short stroll to the oceanfront... it is like a dream cometrue! Do not miss this opportunity to own a slice of island paradise!